Each and every one of them is a jewel to behold; an abstraction of color, pattern, form and wet, reflective surface. They require understanding, passion and respect to properly capture; both literally and figuratively. When we hold a fish, we take them from a wet otherworld, as foreign to us as space, and bring them into ours for the briefest of times. There is a wondrously strange moment when we hold a fish to admire, and perhaps capture some of its magic before we release it. 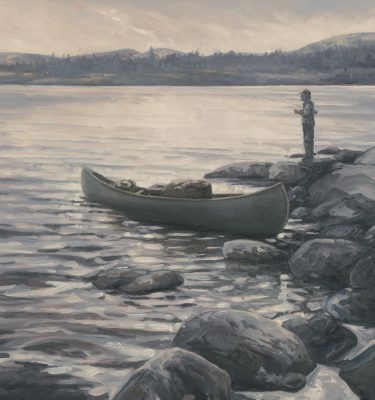 Perhaps, this is why it is important for me to include the human presence in my paintings of fish, as a way of reminding the viewer and myself that we are somehow more complete for having shared in their life. 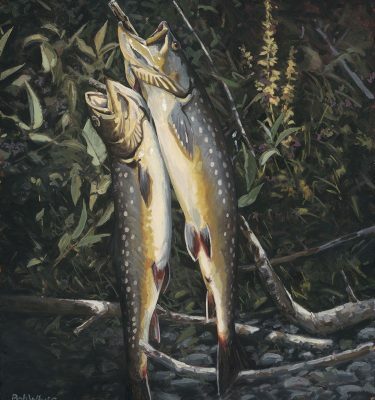 My series of fish titled, “One Last Look”, depicts the moment, before the release, when they are lovingly held and admired for one last look. 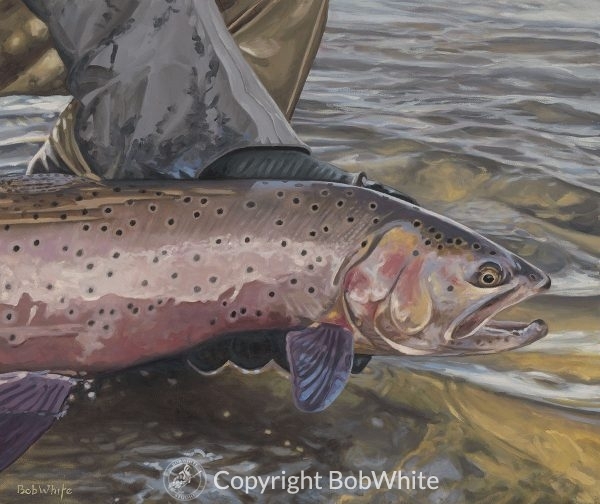 “One Last Look – Lahontan Cutthroat” was painted to illustrate the collaborative column in TROUT that I share with John Gierach. I know a painting is successful when viewing it elicits sensory responses beyond the visual. 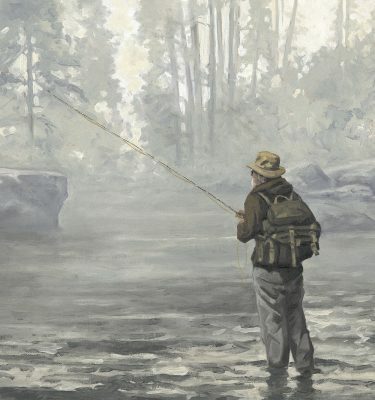 In this painting I want the viewers to feel the weight of the fish in their hands and hear the gentle, early morning waves breaking on the shore of Pyramid Lake. “One Last Look – Lahontan Cutthroat” is an oil on stretched canvas. It measures 24 x 20 inches and is unframed.